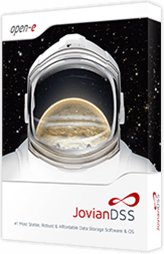 Open-E JovianDSS is a ZFS- and Linux-based Data Storage Software designed especially for enterprise-sized Software Defined Storage environments. With its unique features, the product ensures highest data reliability and integrity – for optimal data storage, protection and recovery. It addresses the needs of enterprise users seeking a unified NAS and SAN solution with thin provisioning, compression and deduplication. Open-E JovianDSS provides unlimited options to architect HA storage environments with SMB/CIFS, NFS and iSCSI protocols. It is the answer to almost any storage requirement, either as a single node, a virtualized HA setup or a Big Data cluster environment. Open-E JovianDSS High Availability Clusters with Ethernet, SAS or Fibre Channel connections ensure reliability and redundancy by eliminating single points of failure. The Standard HA Cluster Feature Pack enables High Availability for two server nodes connected to a single storage with one or more JBODs. With the Advanced Metro HA Cluster Feature Pack you can achieve High Availability for two server nodes with storage mirror over Ethernet of up to 50 miles (80km), using a storage at each location (Dual Storage). Benefit from a full-service, Software Defined Storage package which you can customize according to your needs. On- & Off-site Data Protection in Open-E JovianDSS provides a strategy for Backup, Archiving and Disaster Recovery by enabling asynchronous replication to local sites or co-locations. This way, servers with crucial data can be easily and instantly restored in case of an unexpected disaster. The functionality allows to create consistent snapshots and to asynchronously replicate snapshot deltas to local or remote destinations. Additionally, replication tasks can be scheduled according to the specific user requirements for secure archiving. Encryption enhances security even further while buffered data replication significantly increases the efficiency of storage environments with Open-E JovianDSS. The functionality can be managed via the Command Line Interface (CLI). The software now also includes VMware vSphere Storage APIs - Array Integration (VAAI) for iSCSI data acceleration. On- & Off-site Data Protection effectively prevents data loss and minimizes the recovery time with high-speed Disaster Recovery, lowering the Recovery Point Objective (RPO) and Recovery Time Objective (RTO) in every backup strategy. It allows setting up an application-consistent backup with a retention interval as a Disaster Recovery plan for virtual environments based on VMware. The software does not require the installation of any backup agent. This way, servers with crucial data can be easily and instantly restored in case of an unexpected disaster. NEW High Availability Load-balanced Cluster with Ethernet, SAS or Fibre Channel connection - for highest data security with SMB / NFS / iSCSI failover functionality via Advanced Metro HA Cluster Feature Pack or Standard HA Cluster Feature Pack. NEW S.M.A.R.T. attributes for all disks in the log files - to easily detect indicators of drive reliability and avoid disk failure. Data Migration Tool - to easily transfer from Open-E DSS V7 and other storage software. Disk Multipathing support - for higher fault tolerance, Data Integrity and performance. Software RAID support - for bootable mediums for improved High Availability and security. System management via RESTful API - for more flexibility. VMware Auto Storage Rescan - for an automatic scan after planned or unplanned reboots. maxView Storage Manager - for a simplified monitoring, an easy maintenance process, and configuration of storage controllers in systems built on Microsemi Adaptec HBA or RAID adapters. Support for SMB/CIFS protocol (SMB ver. 3.02) - Protocol for Windows environments which includes fully compatible Access Control Lists (ACL) and ADS (Active Directory Service) authentication. Enables direct access to previous file versions with snapshots and is compatible with the Open-E JovianDSS failover feature. On- & Off-site Data Protection - Enables asynchronous replication to local sites or co-locations with consistent snapshots, secure archiving, encryption and buffering. Unlimited snapshots and clones - In most legacy solutions, the limit for snapshots is set to 255. Open-E JovianDSS allows unlimited snapshots and auto-snapshots that can be remotely activated via CLI and enable easy cloning, versioning and backup. Thin provisioning - Virtually simulates a bigger volume than is physically available, and allows growing it on the fly without the need to re-format the file system. Storage and service reports - Generate automatic and periodic reports to manage the performance of the system and integrate it into SNMP based management solutions. 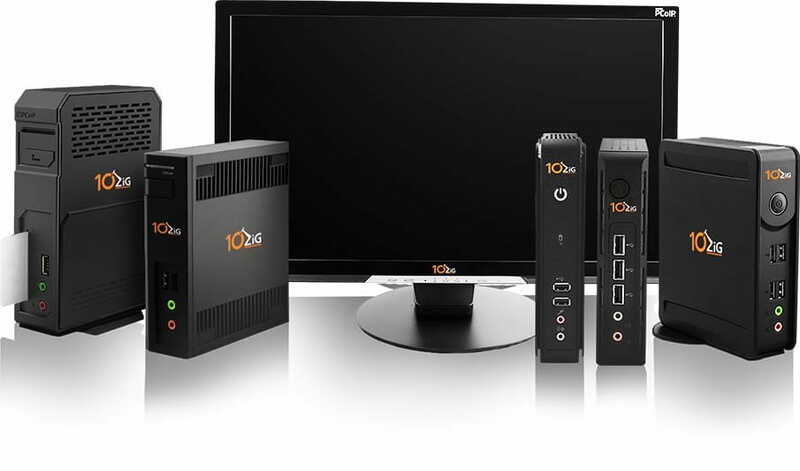 Storage operating system - Includes latest stable packages for higher storage security. Open-E JovianDSS OS - built on Linux and ZFS on Linux which offers superior stability and performance. Easy-to-use WebGUI - for quick and simple storage management and administration.